Sales invoices can be copied to delivery notes already. Delivery notes cannot be copied to sales invoices. Added to the latest version (18.3.12). Rather than hiding negative balances within Qty to deliver column. They get separate column Qty to invoice. 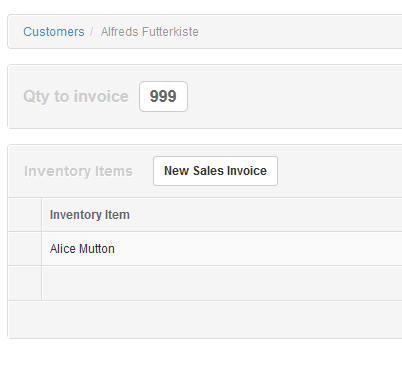 Clicking on the figure will give you button to copy uninvoiced inventory items to new sales invoice.